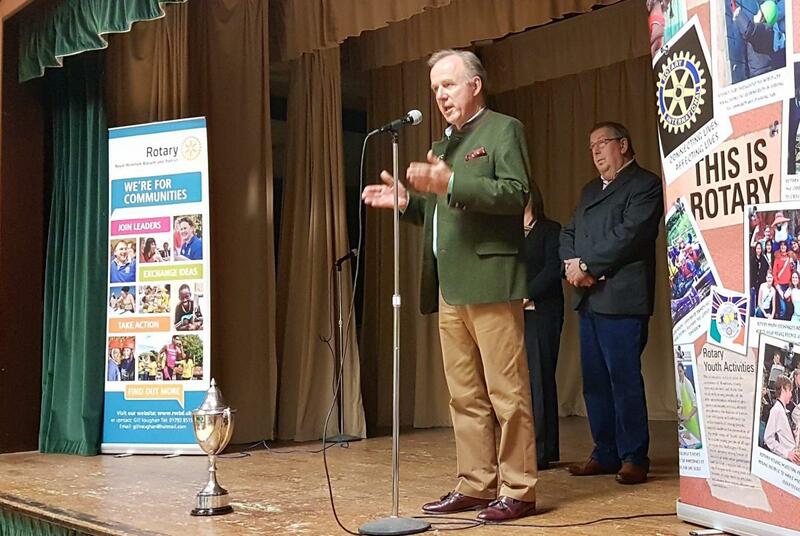 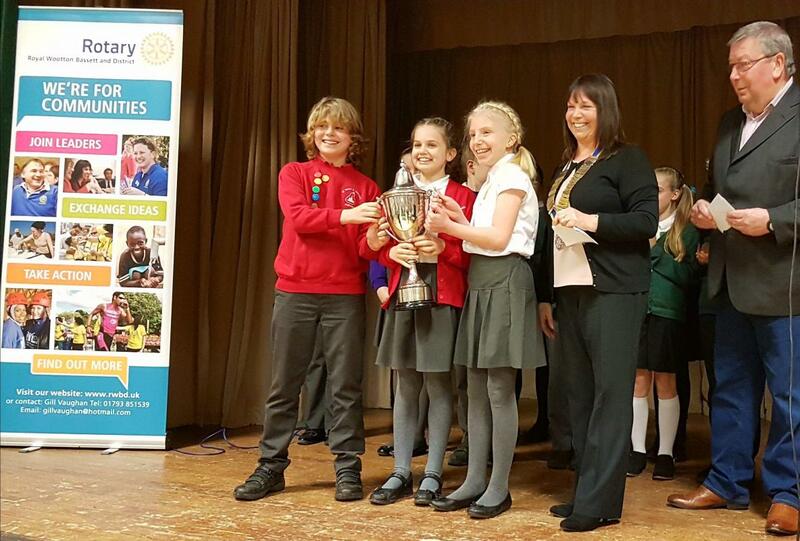 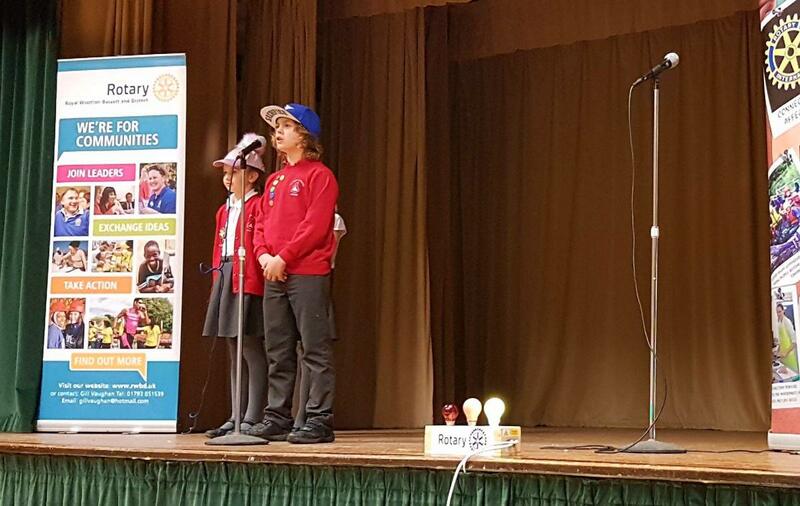 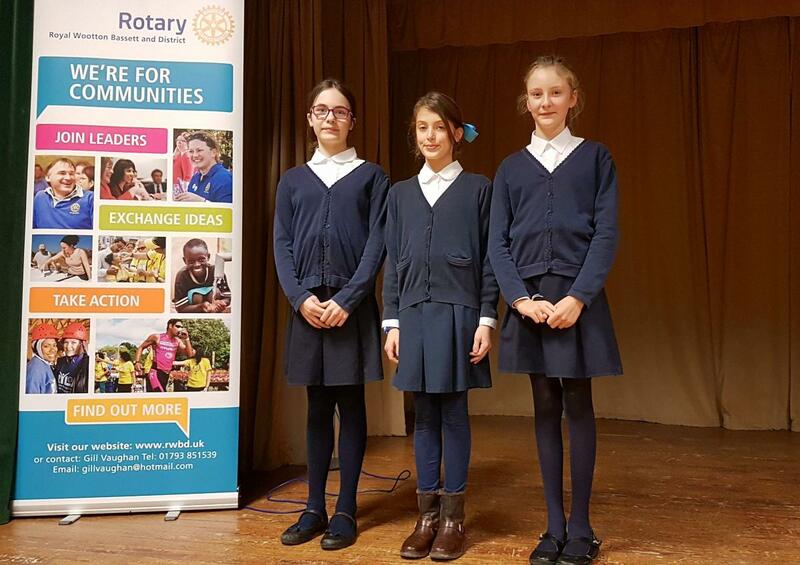 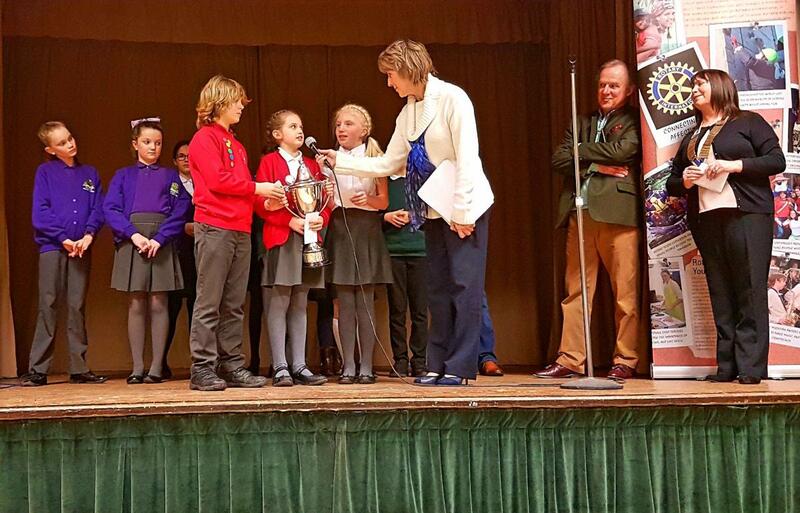 On 29th January four local Junior schools competed for the Rotary Youth Speaks trophy organised by the Rotary Club. 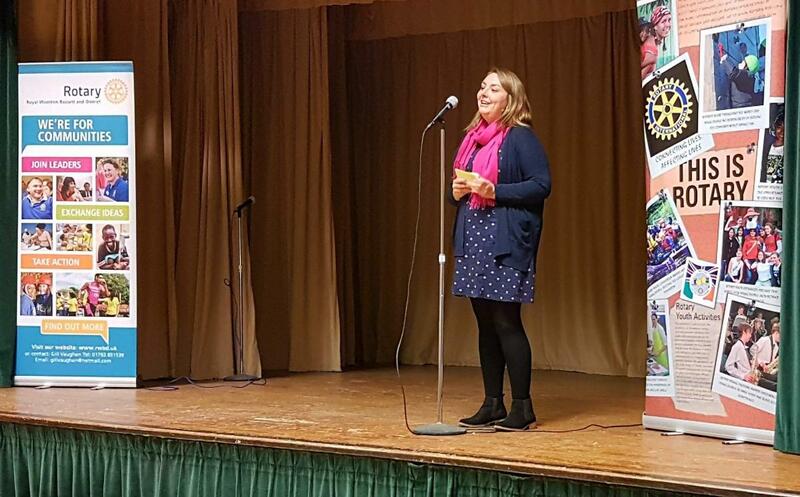 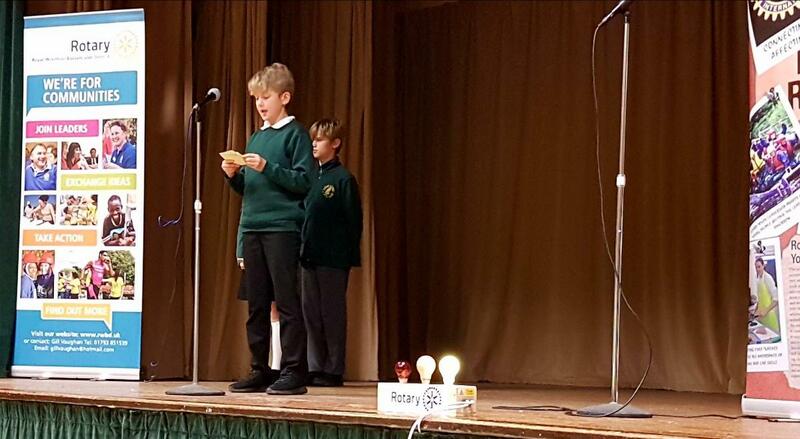 In front of an audience of 100 at the Memorial Hall, the three members from each school were asked to speak for two minutes on a subject of their choice. 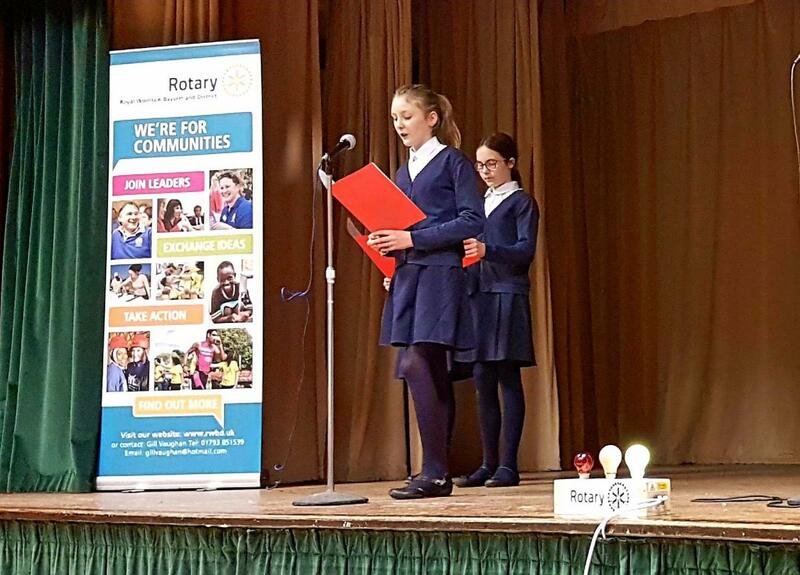 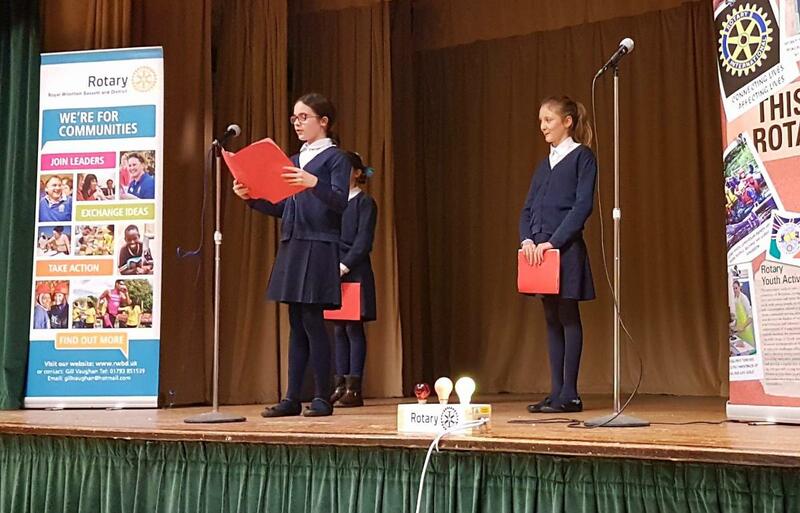 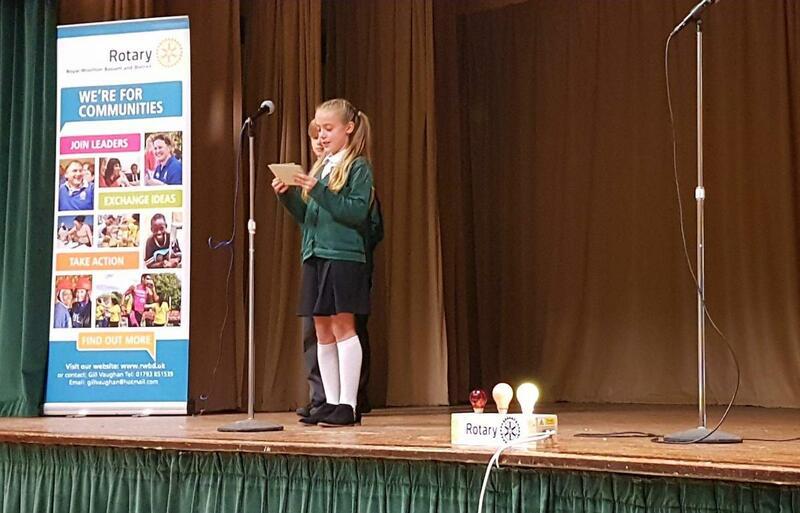 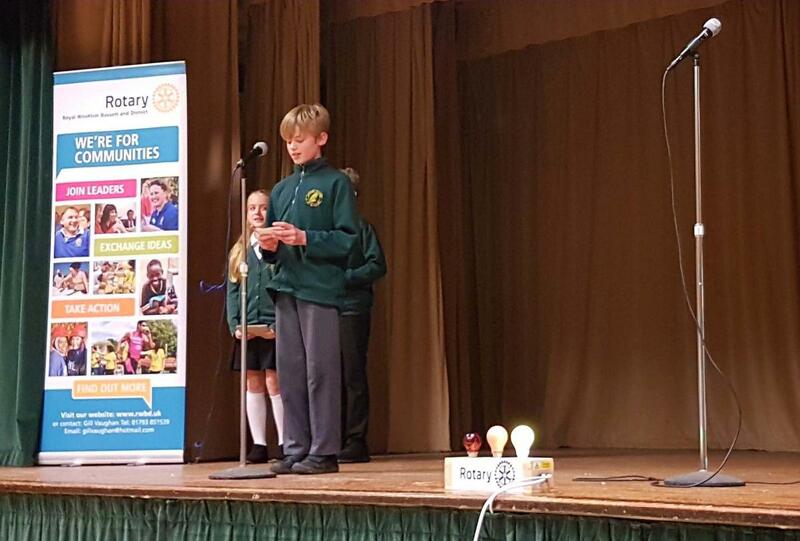 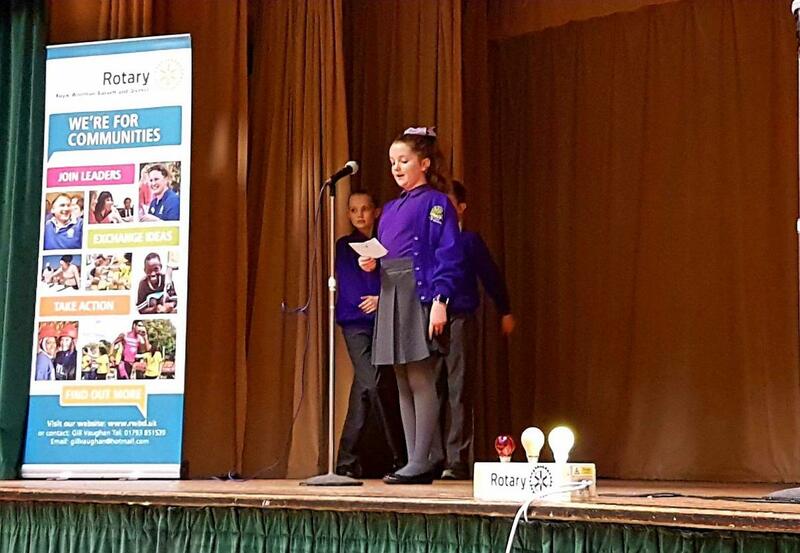 The teams' choice of topics for their speeches ranged from "The Tiguar" (Longleaze Primary School); through "Charities" (Lydiard Millicent Primary School); to "Coco Chanel" (Noremarsh Junior School); and "How Attitudes Have Changed in the Western World" (St Mary's Primary School). 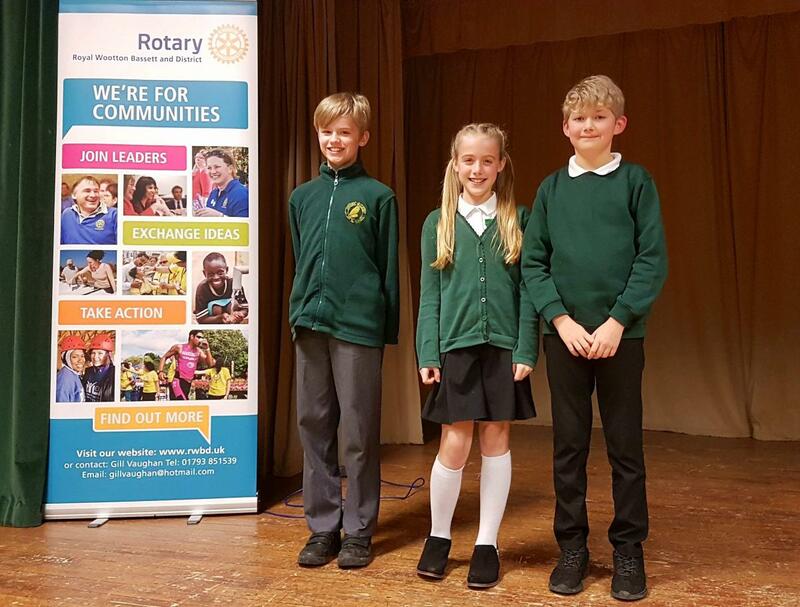 Shirley Ludford from Swindon 105.5 Radio introduced the teams and a panel of judges comprising Philip Porter (a public speaking coach), Mike Farrow (Deputy Mayor of RWB) and Catherine Cadogan (President of the Rotary Club) scored each speaker on their use of vocabulary, creativeness, clarity and teamwork. 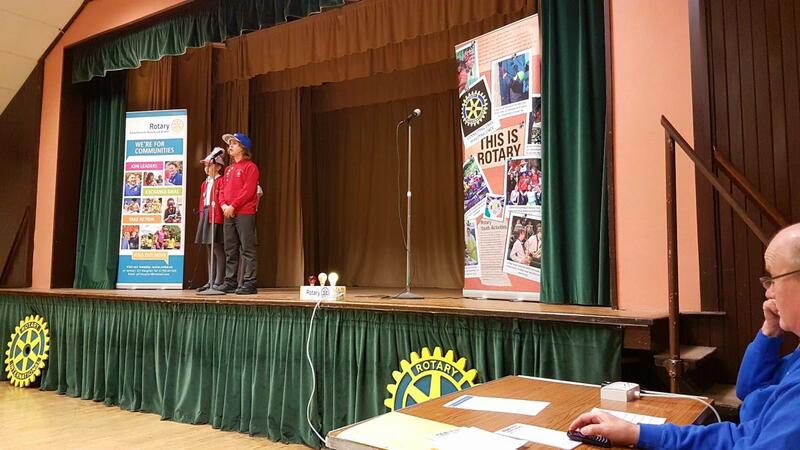 The standard of all the presentations was exceptionally high and the teams had clearly prepared well and researched their subjects. 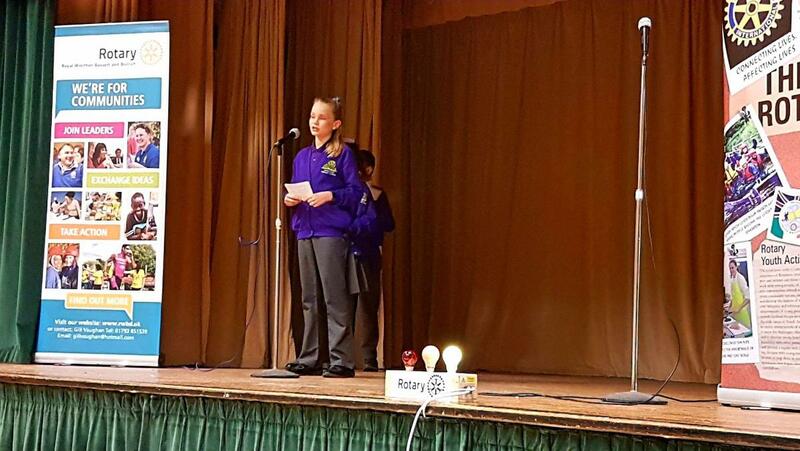 The judges were impressed by the eloquence and the confident delivery of all the speakers. 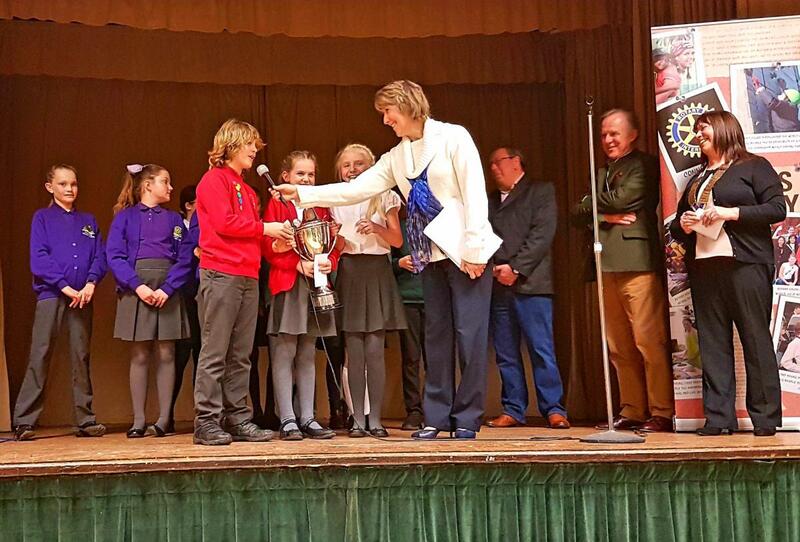 However, after much deliberation, head judge Philip announced St Mary's Primary School as the 2018 winners. 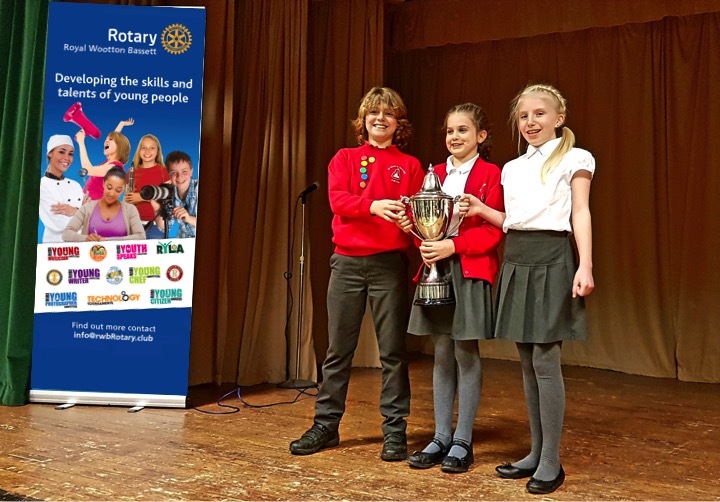 The Rotary trophy and £20 book tokens were presented by Catherine to the winning team: Kate Hulin, Oz Scott and Jemma Vincent. 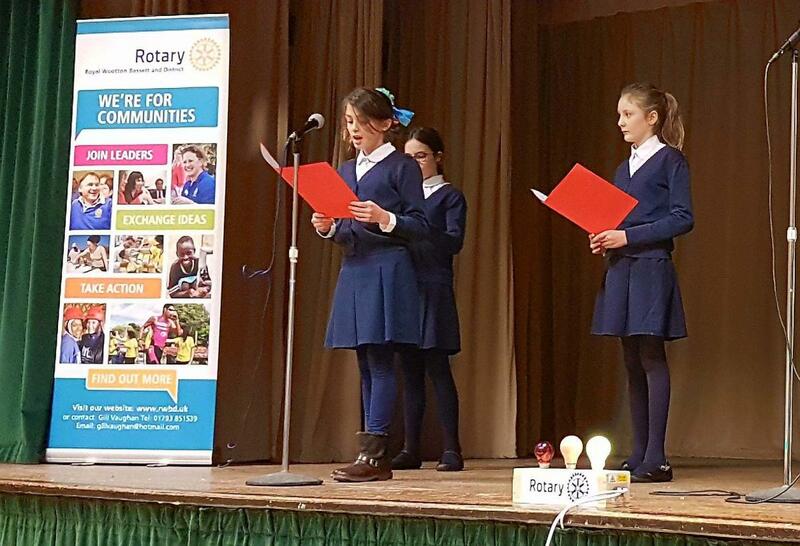 Youth Speaks is one of the competitions organised annually by Rotary Clubs across the country aimed at promoting the development of leadership skills in young people. 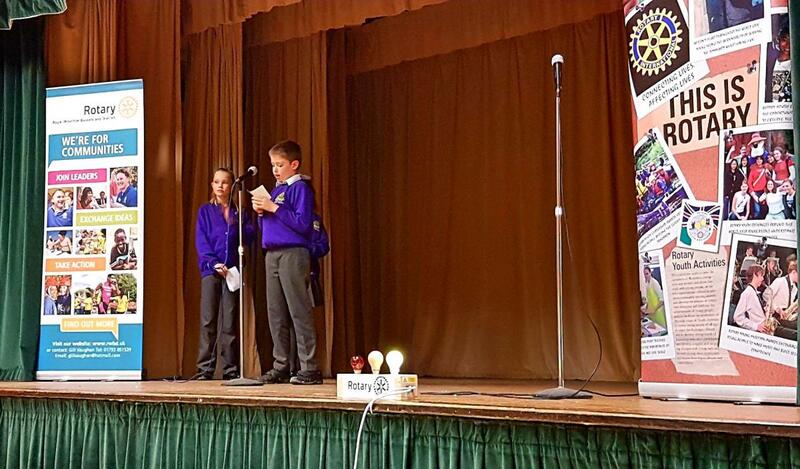 Public speaking isn't easy and requires some bravery to stand up at a microphone on a stage in front of so many people, but those that are brave enough and can express their ideas clearly are our leaders of the future. 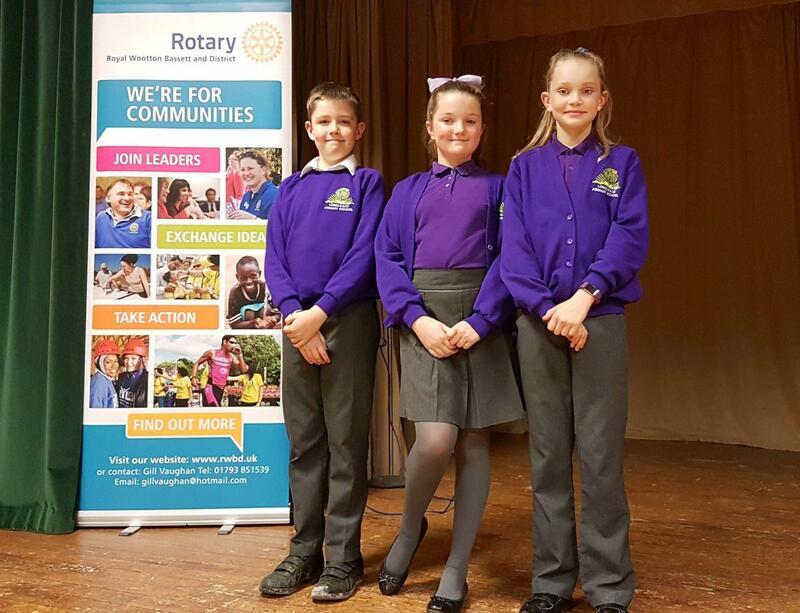 We were privileged to see quite a few of our future leaders in action on Monday! 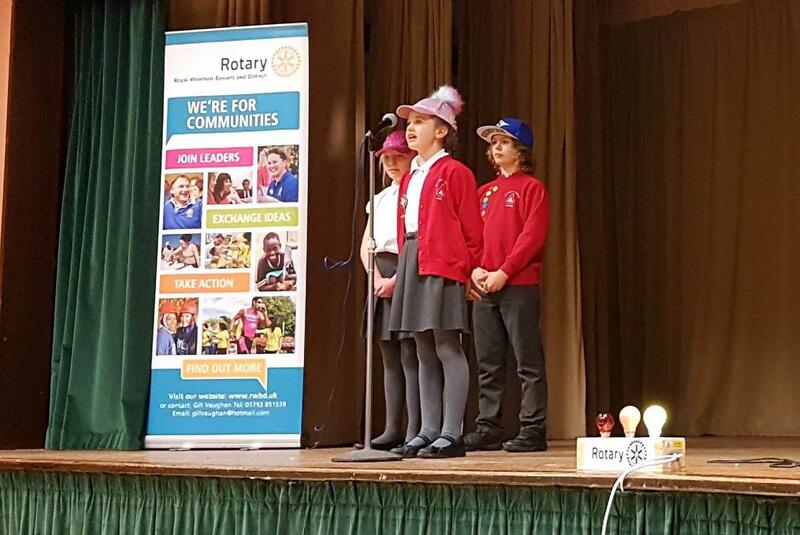 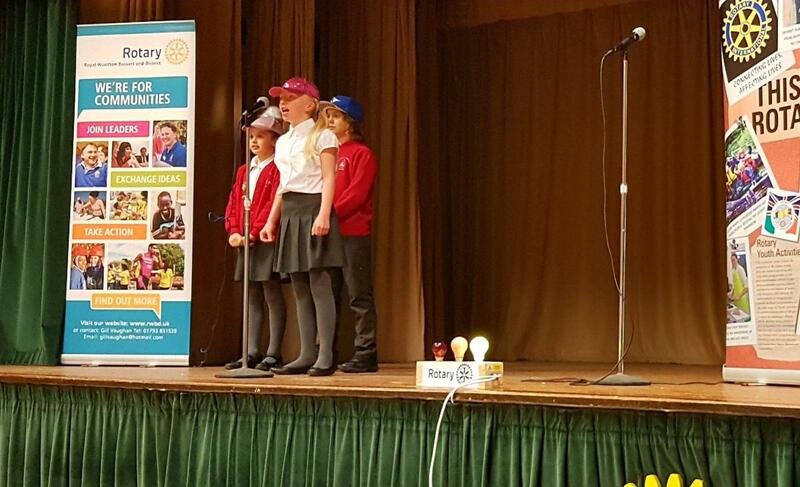 The next inter-schools competition organised by the Rotary club will be the Junior Schools Quiz on 22 March at Marsh Farm Hotel.